In the NFL, there are a few mysterious and unexplained things that seem to have a negative effect on your game. Granted, I’m talking from a superstitious fan point of view, but it doesn’t mean my take on things is wrong. What it means is that when they happen to your team, take notice. Do something to help make the balance go back your way. Shake your tikis or wear your lucky jersey or official NFL socks…. and take notice. The second thing you can do to jinx an NFL team is to put one of their team members on the cover of Sports Illustrated. Any old team member will do. This jinx only has a limited effect however. The team can still turn itself around. If you really want to jinx a team for an entire season, make sure someone predicts them to win the Superbowl that year. Now, making predictions before the season even starts is a difficult thing, I’ll give you that. But jinxing them is a talent. This year Peter King predicted the Packers to win it all in the Superbowl. Last year he chose the Bears to win the Superbowl and the Saints as the 24th ranked team. And look how that turned out. I actually give King credit for continuing to make predictions, and vow that I will make some myself! 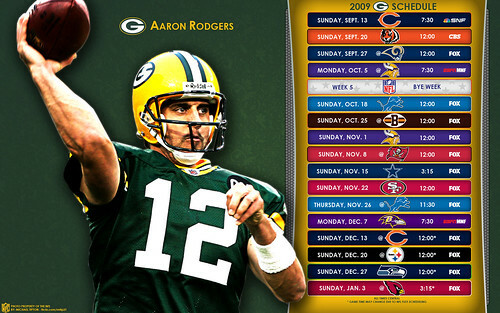 However, since I am a Packer fan, I will likely rank them last. And now you will know why.